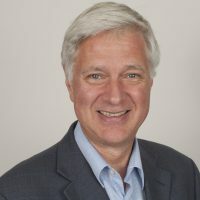 Dr. Ray Copes is an Associate Professor of Occupational and Environmental Health at the Dalla Lana School of Public Health, University of Toronto, and a Clinical Professor at the School of Population and Public Health, University of British Columbia. He has a Doctor of medicine from McGill University, a Master of Science from McGill University and a diploma in industrial health from the University of Toronto. His areas of expertise include: exposure and risk assessment; risk communication; occupational and environmental medicine; air pollution; and toxicity of metals.